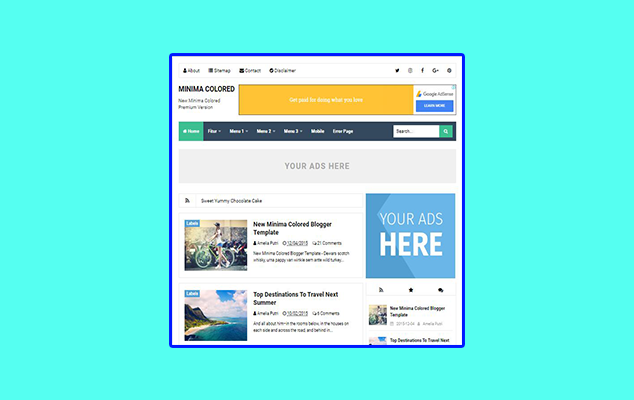 New Minima Colored Premium Blogger Template Free Download - XpertShout Yayın bulunmaktadır. Get new minima colored premium blogger template from our site. We are providing this template for free download. Its price is 3 to 5 dollars. So, you can use it without footer credit link. Below I am writing some characteristics of this template before download read it. Hope you will love this blogger template. So, click on below download button to download and like my Facebook page. Thanks. It is a compressed file containing all versions of minima colored almost 7 premium versions included.